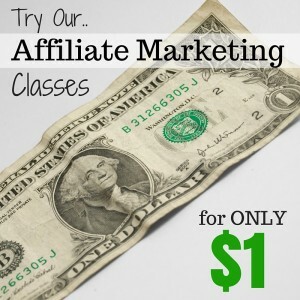 I am always looking out for new YouTube marketing courses to help me in ranking videos and converting them into traffic and sales (of course). So, when I saw that a new course by the Knight Brothers – Tube Money Cash Machine was coming out I thought I’d check it. I am a member of their Facebook Group where James Knight and others share tips and help you to rank videos, and this is how I found out about the course. The sales page starts with a video so I’ll start there. It’s only 1 min 45 seconds long. It’s not slick and is by Karen Richards, no big promises just a down to earth video with an overview of the course. It’s a good start. The price is really cheap at the moment – looks very tempting at that price. Next is more about Karen Richards a single mom who makes $735.04 per month by creating YouTube videos. After that there is a stat about getting 32,505 views in one week. Impressive. And she has systematized it. The sales letter says its easy. Next its on to the steps – there are 5 of them. Looks like a logical sequence. The 2 steps I’m most interested in are Step 1 on finding the best offers to promote and Step 2 on how to make viral videos quickly. Looks good and I hit the buy button. It’s through JVZoo and Paypal. The payment process happens smoothly. There is a one time offer. I normally hit the no thanks link, but stop to hear what the upsell video has to say. It 6 minutes and 30 seconds long. The offer is for 8 training videos to go alongside the PDF you get with the original offer. I take up the offer. Inside the course you need to enter your email address, name and choose a keyword. As I took up the OTO I’m not sure what is the standard course and what is extra, so I’ll go through what is here. There are 8 videos, a special offer, the YouTube Machine Book and something from Ray The Video Guy (he’s the person that introduced me to the Knight Brothers) listed down the side. I’m going to start with the first video. The video has James and Ken Knight presenting. (The video below explains who Karen is and her connection with the brothers and about the course). This discusses the techniques for finding offers that you can promote and which ones work best with this YouTube system. Some good points and I’ll have to come back on this again. They brothers presentation styles are different but it does make for a nice mixture of enthusiasm and measured explanation. The next video is about finding keywords and uncovering more related keywords. There are some very clever ideas here I had not used for my videos. I’m taking a lot of notes here but I’ll have to go back through the video.